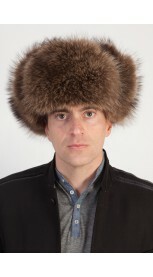 Best selection of real raccoon fur hats. 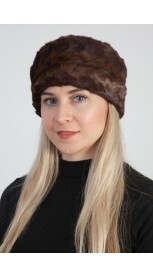 Amifur.com offers top quality raccoon fur hats for women and men. 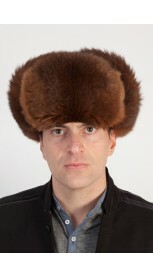 Each of our fur hats is made in Italy. Handmade product. We ensure best quality materials. All our raccoon fur hats are sewn in Italy only from quality natural raccoon fur which you can buy at really attractive prices. 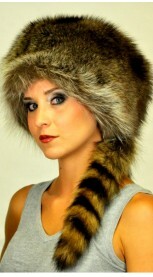 This original "coonskin cap" fits both men and women. 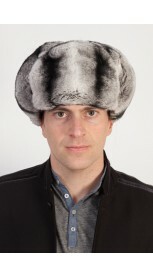 Real raccoon fur hat with true tail. Perfect to flaunt your own style even in cold winter. Absolutely natural color, with white-grey to brown-black shades. Inner polyester lining. Each of our fur accessories is handmade in Italy. We ensure best quality materials. -Quality natural fur -Natural color -Unisex fur hat -Inner polyester lining -Warm, soft, real fur accessory -Handmade fur product -Made in Italy -Brand Amica snc -Top quality guaranteed NOTE: Order 2 or more items from our International Online Store, and you will receive a special present! 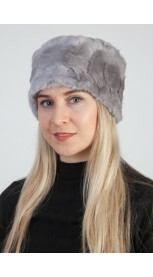 www.amifur.com/receive-present ..
Raccoon fur hat, Ushanka. For those women wishing to be trendy and flaunt their own style even in cold winter. Fur on both sides of ear flaps. 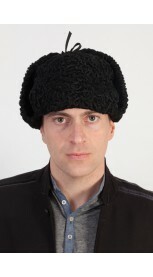 This hat is so soft, warm and trendy. Natural color with brown, grey and black shades. Inner polyester lining. Each of our fur accessories is handmade in Italy. We ensure best quality materials. -Quality natural fur -Natural color -Unisex fur hat -Inner polyester lining -Warm, soft, real fur accessory -Handmade fur product -Made in Italy -Brand Amica snc -Top quality guaranteed NOTE: Order 2 or more items from our International Online Store, and you will receive a special present! www.amifur.com/receive-present ..
A classic style that never ages. 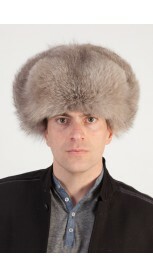 Real raccoon fur hat; warm, soft and trendy. Not natural color, with red to black shades. Inner polyester lining. Each of our fur accessories is handmade in Italy. We ensure best quality materials. -Quality natural fur -Not natural red-cherry color -Inner polyester lining -Warm, soft, real fur accessory -Handmade fur product -Made in Italy -Brand Amica snc -Top quality guaranteed NOTE: Order 2 or more items from our International Online Store, and you will receive a special present! 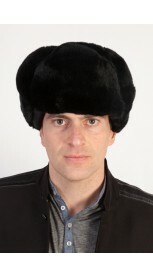 www.amifur.com/receive-present ..
Red raccoon fur hat – Ushanka. 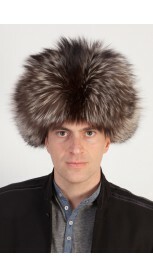 Original raccoon fur hat. It is very warm, ideal for cold winter days. Fur ear flaps on both sides. Not natural color with red to black shades. Inner polyester lining. Each of our fur accessories is handmade in Italy. We ensure best quality materials. -Quality natural fur -Not natural red-cherry color -Inner polyester lining -Warm, soft, real fur accessory -Handmade fur product -Made in Italy -Brand Amica snc -Top quality guaranteed NOTE: Order 2 or more items from our International Online Store, and you will receive a special present! www.amifur.com/receive-present ..